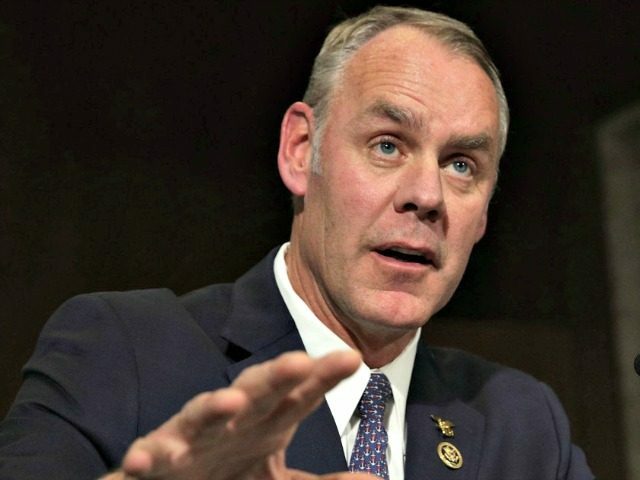 Interior Secretary Ryan Zinke called rumors he would depart for a position at Fox News as “laughable” on Breitbart News Sunday on SiriusXM Patriot with host Amanda House. “These attacks on both me and my family by the way. My wife has been threatened. My kids have been threatened. Our property has been trespassed upon. This is how angry the resistance movement is,” said Zinke. Amanda House is Breitbart News’ Deputy Political Editor. You can follow her on Twitter at @AmandaLeeHouse and Instagram.